Kohli received the Test Championship Mace from Sunil Gavaskar and Graeme Pollock. The International Cricket Council (ICC) presented India skipper Virat Kohli with the Test Championship Mace on Saturday (February 24). 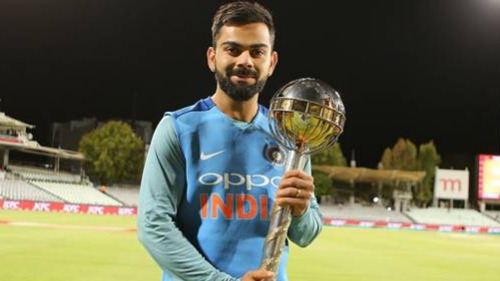 Kohli received the mace from ICC Cricket Hall of Famers, Sunil Gavaskar and Graeme Pollock after the conclusion of the third T20I between India and South Africa which the visitors won by 7 runs to seal the Twenty-20 international series 2-1. In a video posted by ICC on their official Twitter page, Kohli can be seen thanking the Indian fans for their constant support. “Having received the ICC Test mace twice in a row is a very special feeling for all of us in the Indian cricket team and the support staff as well. I want to thank all the fans of the Indian cricket team all around the world for making this possible – for supporting us in big numbers where ever we play and motivating us in the tough times,” Virat said. Kohli, who scored 286 runs at an average of 47.66 on some of the most difficult pitches in the three-match Tests series against South Africa, also assured that his team will continue to work hard to keep the Indian cricket high. 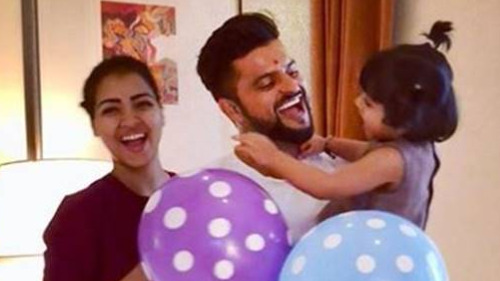 “We promise you that we will keep the hard work going, we will try to entertain as much as possible and keep Indian cricket as high as we can for as many years as possible,” the 29-year-old further quoted. Kohli further urged the Indian fans to show the same kind of support in their forthcoming overseas assignments later this year. “It’s been a collective effort of the fans and the team and hopefully in the next coming 12-18 months, where we are going to play a lot of tough cricket away from home, we hope that we can get the same kind of support from all the fans across the world,” he said. “We are very thankful and grateful to all of you and now we are looking forward to seeing in the stadiums again,” Kohli concluded. Having conceded the first two Tests and the series against South Africa, Team India bounced back emphatically to register a memorable 63-run victory in the third Test at Wanderers. Since then there was no looking back for Virat Kohli and company. 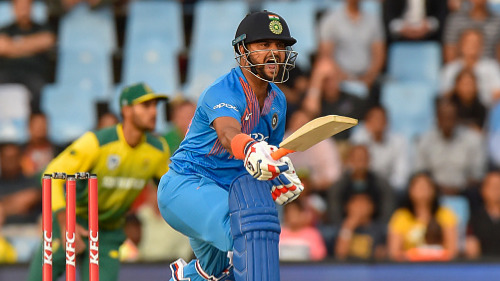 Subsequently, the Men in Blue clinched the six-match ODI series by a stunning margin of 5-1 while they won the Twenty-20 international series 2-1 against the Proteas.